Splitt, a recently launched cryptocurrency mining service equipped with a cloud server, is now taking giant strides towards becoming a highly preferred choice amongst the crypt mining en-thusiasts around the world. Following its mega launch in August, Splitt has done well to secure close to one hundred thousand users and ten thousand investors in less than three months. Of-ficial sources have revealed that the company has already received an investment of more than five million for further development of the business. As a result of drastic increase in the number of miners, bitcoin mining has become extremely competitive these days. Along with this growing competition, the bitcoin network has increased the difficulty level of solving the puzzles. As a result, it has become necessary now for the min-ers to up their game to stay in the race. 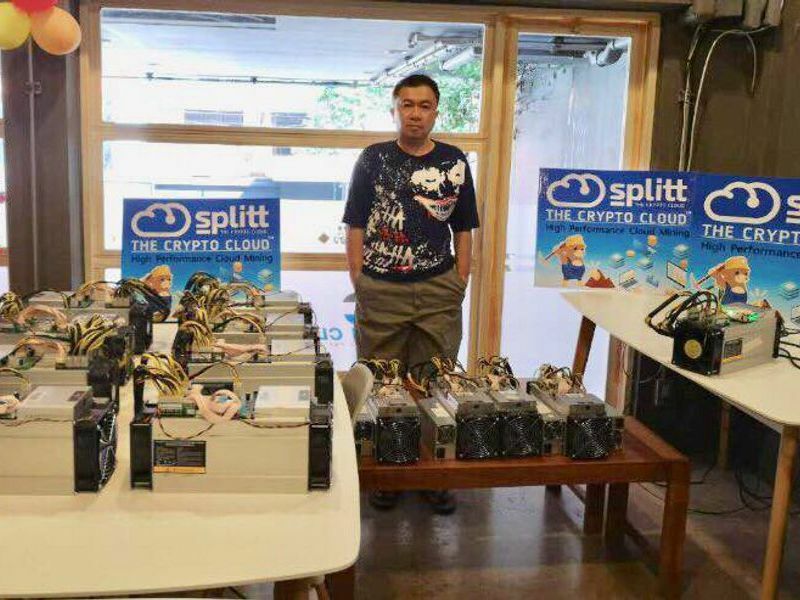 The crypto cloud of Splitt meets these challenges by offering mining services with ASIC inte-grated chips. This is considered to be the latest breakthrough in crypto mining because it is fast-er compared to the traditional GPU and CPU mining, and consumes less power. Splitt cloud mining requires no specialized hardware as it utilizes shared processing power from data cen-tres. All Splitt users also have the opportunity to boost their mining contracts every week by win-ning Splitt Points. Moreover, the company is currently looking for a name for their Mascot and the winner coming up with the same will receive one thousand Splitt Points. As part of the company’s global expansion plan, Splitt has recently opened a fully operational office in Thailand. The office is headed by Certified Bitcoin Professional Mr. Taradon Kriwi-chet, who is available alongside his team on a daily basis to help the visitors. Interestingly, a high percentage of investors that have contributed to Splitt are from Thailand. Investors from Ghana, Italy, Germany, and Russia have also contributed generously. "We are happy to let you know that we have received an investment of more than $5 Million to grow our business. We have been unstoppable in the recent months, with more than 95k users and 10k investors," said a senior spokesperson from Splitt. "Now, we also have a fully opera-tional office in Thailand and much more is expected in the near future." As a rapidly growing industry player, Splitt takes part in a number crypto conferences and fo-rums all over the world. In the recent months, the company actively participated in three key industry events and the next one is coming up soon. In October, Splitt representatives conduct-ed a successful workshop and networking conference in Ghana.